Offensive Security Conference 2018 was held in Berlin, Germany during February 16-17, 2018. OffensiveCon Berlin was a highly technical international security conference focused on offensive security only. 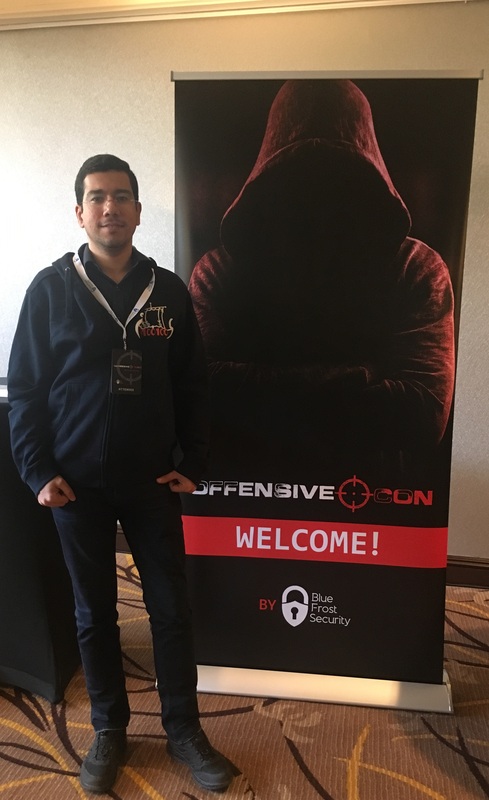 The aim of OffensiveCon was to bring the community of hackers together for high quality and deep technical talks, engaging and renowned technical trainings. The talks at OffensiveCon were focused on offensive IT security topics such as vulnerability discovery, advanced exploitation techniques and reverse engineering. The conference brought superb and unique speakers while offering affordable ticket prices for everyone. The conference was constructed as a single track of talks for two full days as well as technical trainings held in the days before the conference. Moreover, the conference was hosting lightning talks as well, where attendees had a chance to present any topic related to offensive security for 15 minutes to the entire audience. COINS supported Ramtin Aryan to attend the Offensive Security Conference 2018 in Berlin, Germany.